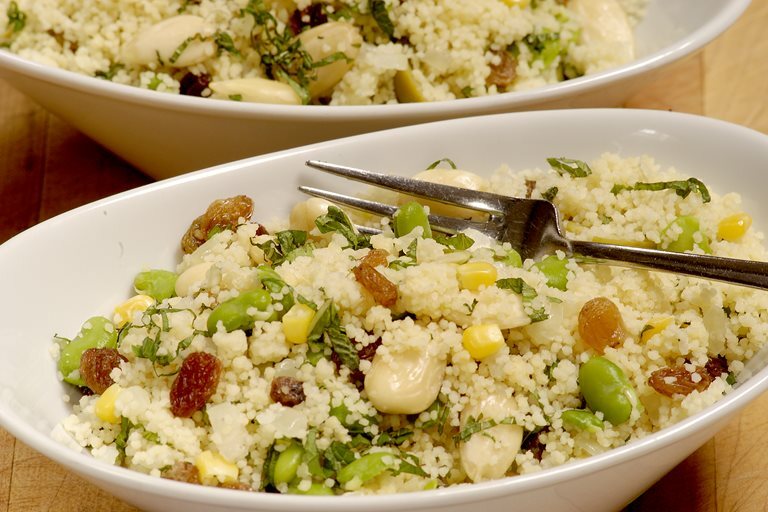 This fresh and healthy couscous recipe goes brilliantly with any number of main course meals –marinated lamb, grilled chicken breast, falafel wraps and roasted vegetables just a few examples. Paul Heathcote's recipe for this Middle Eastern favourite is quick and easy to follow, making it a great midweek dinner or lunch and perfect for picnic or barbecue sides. Check the maker’s recipe for couscous and measure out the water for 125g of cous cous (recommendations vary slightly although it is normally around equal quantities). The cous cous will now be cooked, season with sea salt and freshly milled pepper. Paul Heathcote’s love affair with cooking began at home in his early teens. He went on to win two Michelin stars and own multiple restaurants in the North West.